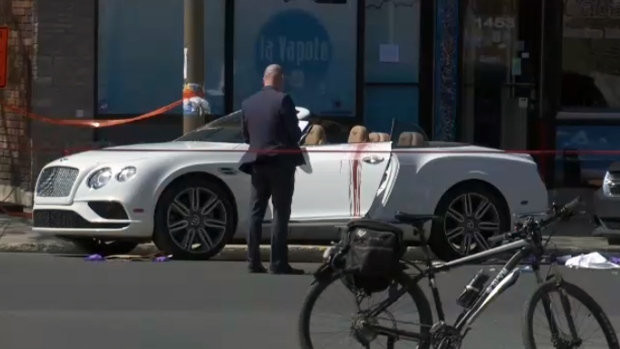 The 39-year-old man who was shot in broad daylight in Montreal on Monday has died. The victim, whom sources have identified as Samy Mokaddem, was kept on life support for several days until he passed away. Mokkadem was shot at least once in the head while in the driver's seat of his luxury car at the corner of Belanger St. and Garnier St. Witnesses said a man wearing a hooded sweatshirt walked up to Mokkadem and fired once before running off on foot, tossing the handgun away on a nearby sidewalk. Mokkadem was facing multiple charges of intimidation, uttering threats, and extortion involving two men.